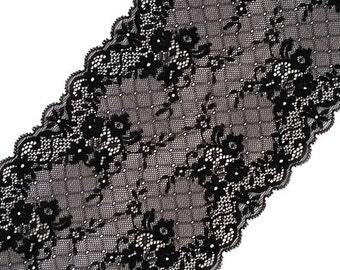 5 m black scalloped narrow stretch lace trim. 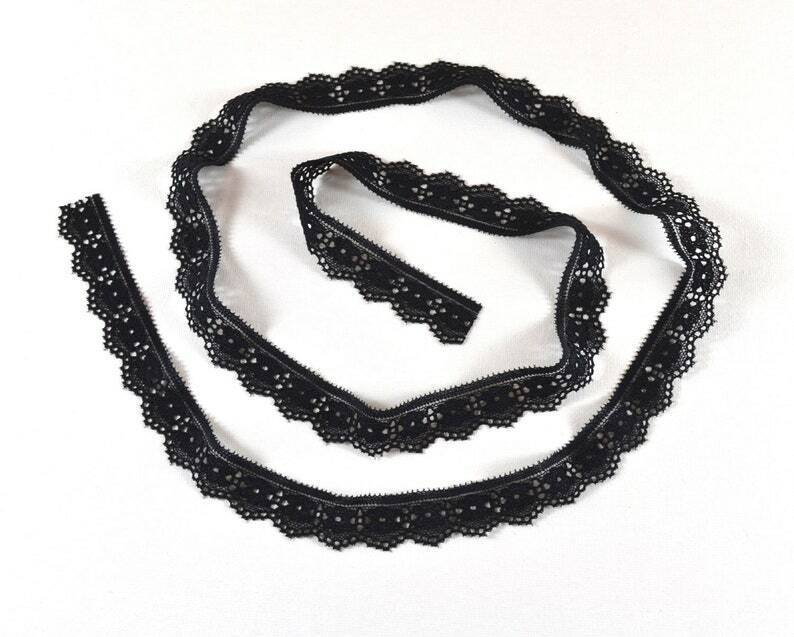 This elastic lace trims ideal for bra making, doll making, clothing, doll's dresses, nuno-felting, lingerie, curtain and other DIY craft and sewing projects. 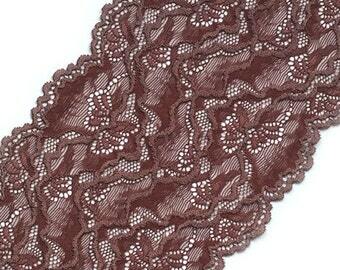 Lace trim width 0.78 inch Lace 2 cm # U7008. This elegant design piece has soft hand feel, ideal for clothing, doll dress, nuno-felting, lingerie, curtain ...etc. Shipping from Europe (Latvia) with tracking number. Love it! Shipping was fast. My first time ordering from MintFrog and I couldn't be happier. The service was top notch. 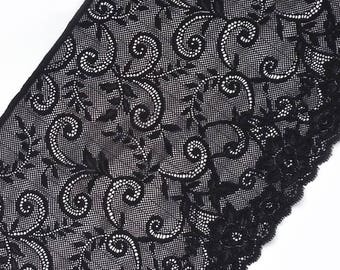 The quality of the lace is fantastic. I bought a few different laces to check the shop out and I will certainly be ordering more. 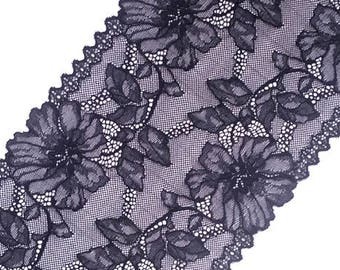 The lace is perfect for lingerie making. Payment is accepted through Direct Checkout . All items will be shipped within 1-3 bisines days after your payment is completed. PLEASE NOTE: International customers are responsible for any fees, taxes and duties associated with shipping and purchasing to their country! Please contact me if you have any questions regarding any of my items. I ship worldwide with the state postal operator Latvijas Pasts. Your orders will be shipped within 1- 3 working days after payment. All shipments have tracking number. Tracking number will be sent to you, with the shipping notification. So you can track your package. If you are interested in EXPRESS delivery, please write me - I can offer options for you. All your orders will be packed in supreme attention to ensure safe and unharmed delivery. The colours are well represented in the images, but please be aware of the limitations of digital imagery and colour and that different computer monitors can display the same image in a very different way.